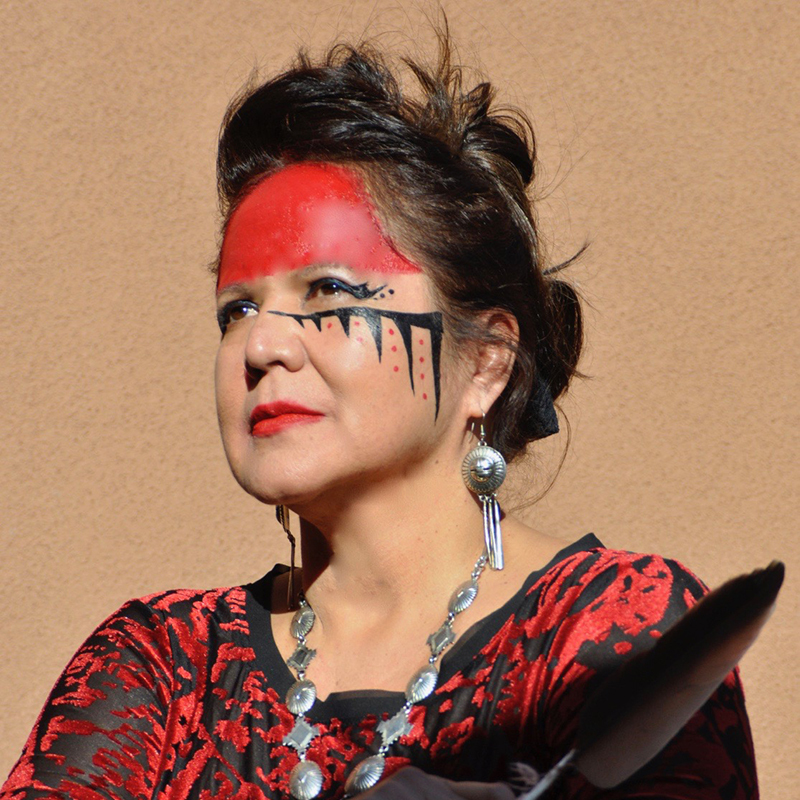 Joanne Shenandoah, Ph.D., is one of “America’s most celebrated and critically acclaimed Native American musicians of her time”, Associated Press. She is a Grammy Award winner with 3 Nominations), over 40 music awards (including 14 Native American Music awards – Hall of Fame Inductee) with music ranging from solo to full symphony and 23 recordings. She is a humanitarian, working as a peace advocate, earth and human rights speaker for justice and has captured the hearts of audiences all over the world, from North and South America, South Africa, Europe, Australia and Asia. She has received multiple awards and praise for her work to promote universal peace and understanding. She is a direct descendent of the famed “Chief Shenandoah” who is noted to have been given a “Peace Medal” by George Washington and established Hamilton College, Clinton, NY (The Oneida Academy). “The American Indian Society of Washington, DC presents its most prestigious award to a Native American whose life’s work has led to the improvement and empowerment of Native Americans through social, political, legal, environmental or educational initiatives. Shenandoah is a founding board member of the Hiawatha Institute for Indigenous Knowledge www.hiawatha.syr.edu, a non-profit higher learning educational facility that is based on Iroquois principles. Also in 2014 she served as Co-Chair for the Attorney General’s National Task Force of Children Exposed to Violence for the Department of Justice. Shenandoah has performed at prestigious events such as St. Peter’s Basilica, The White House of the US, Carnegie Hall, 5 Presidential Inaugurations, The Vatican – St. Peter’s Basilica for the canonization of the first Native American St. Kateri Tekakwitha, Madison Square Garden, Bethlehem Fine Arts Center, Palestine, Crystal Bridges Museum, Smithsonian museums, The Ordway Theater, Hummingbird Centre, Toronto Skydome, The Parliament of the Worlds Religions, (Africa, Spain and Australia) and Woodstock ‘94. Please see attached reference letters.